Best Funny and Cool Wi-Fi Router Names: In this imaginative world, there are some creative people who have incredible ideas to make their Wi-Fi network names witty and much funny. Wi-Fi is a need as it has become a part of every individual’s life. Everyone wish to have an internet connection which is quite faster. Moreover, if the internet connection is available at free of expense, it would be really awesome. Isn’t so? It’s very accurate! With the advent of Wi-Fi, connecting to the network or the web has become so simple and comfortable. But, all you need to do is only search for an available Wi-Fi name which is much nearer to your location. If you know the password of any Wi-Fi network then, you will have the whole world at your fingertips. Some Wi-Fi router names can assist you as a means to deliver a powerful message to acquaintances or neighbours, others are simply the outcome of creative thinking, pointed at enduring out from the masses. We have numerous people in this wondrous world with a lot of creativity and unique ideas. Some people’s creativity knows no bounds. And that holds right when it comes to empowering their Wi-Fi devices as well. Just like these thinkers right here. Here’s a collection of the most unusual and weird Wi-Fi names found on the Internet. Also, check another 150 best wifi names for your router. Check them out!! 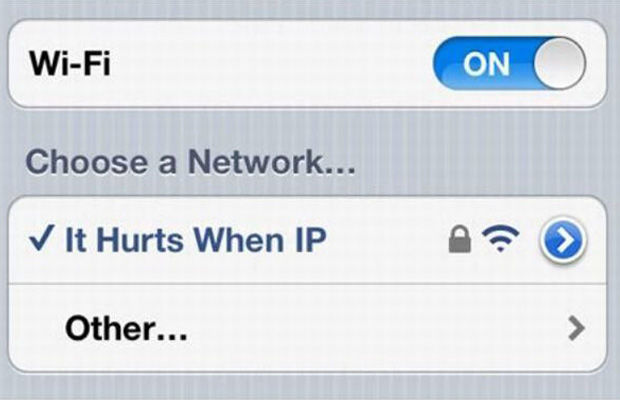 Here are the most hilarious and unique Wi-Fi network names that will make your friends and neighbours get surprised. Check out the list of the bets 200+ Wi-Fi router names! These are the best funny and cool Wi-Fi Network and Router names that will make your friends and neighbors astonished. Hope this list of the best 200+ hilarious and clever Wi-Fi Router names helps you work on your own internet connection without giving any clue to your friends so that they can’t share your network. Actually I just googled it before that I thought Silly it wont be but amazed and found good article. Thanks for your feedback. Glad that you liked our article. If you know any other funny wifi names, let us know in your comments. Thank you for your feedback. We will include more and more Wifi funny names in the next update. Visit our site for more information. Loved this. Thank you. Great work ! We are happy that you liked our article. If you use any other funny names, let us know in your comments. Great Names! Me my self are currently using “You Shall Not Pass!”. Thanks for the extra names though! Thank you for giving your feedback. Keep visiting for more stuff like this. I once labeled my mobile hotspot as “I Love Big Blue Balls” only because some lady kept yelling out Wi-Fi networks in a hospital lobby trying to get free internet. I currently use Alien_Invasion_Network. I haven’t seen it used any where else, I guess I’m an original thinker?